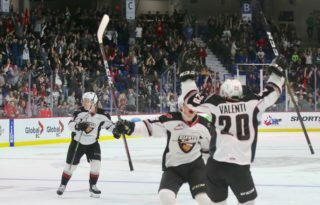 This afternoon in Calgary, AB the Vancouver Giants continue their six-game quest through the Central Division when they take the ice for the first and only time this season against the Calgary Hitmen. The Giants kicked off their trip on Friday with a 6-0 win in Red Deer, and today they’ll look to make it three straight victories altogether. Last Game: A 7-3 loss to Edmonton on the road Friday night. This afternoon marks the first-time former Vancouver Giant forward James Malm will face his former team. 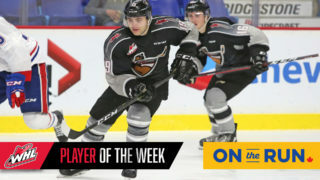 Malm comes into tonight’s game ranked third in team scoring with 34 points, and since joining the Calgary Hitmen in early November he has notched six goals and 13 assists for 19 points in 20 games. 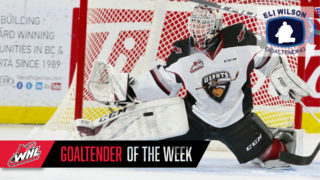 Malm appeared in 179 career games with the Vancouver Giants. 20-year-old Calgary captain Mark Kastelic comes into tonight’s game leading all scorers with 25 goals and 39 points. The 6’3”, 220-plus pound forward from Arizona has netted three goals over his past two games, and comes into this afternoon tied for fourth in WHL goal scoring along with Seattle forward Zack Andrusiak. 2000-born defenceman Egor Zamula leads all Calgary defencemen with eight goals and 31 points. Coming into today’s game, Zamula sits tied for sixth among WHL defencemen in scoring and second among defencemen that play for Central Division teams. Back in September, Zamula signed an entry-level contract with the Philadelphia Flyers after going undrafted in 2018. Last Game: A 6-0 victory in Red Deer on Friday night. Former Calgary Hitmen forward Tristen Nielsen will face his former mates for the first time since the Halloween trade that saw him traded to Vancouver in exchange for James Malm. Nielsen is coming off a three-point effort Friday in Red Deer and now has four goals and four assists for eight points in 22 games with his new team. Today in Calgary Giants forward/alternate captain Owen Hardy will play in his 200th career regular season game with the Giants. Hardy was drafted by the G-Men in the second round in 2014 WHL Bantam Draft and since then has notched 28 goals and 32 assists for 60 points. This season Hardy has seven goals and seven assists for 14 points along with a +8 rating. 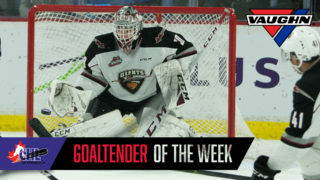 The Giants woke up this morning with the fewest goals against in the entire WHL. Through 33 games the Giants have surrendered just 73 goals against. They have the third best goal differential in the WHL behind only Prince Albert and Everett. They’ll look to maintain their defensive success against a high-flying Calgary club that has scored 125 goals.